To develop a drug product, medical device or drug substance requires navigating the complex and interconnected tradeoffs in today’s global regulatory realm, while balancing shareholder demand for rapid time to market. With more than 20 years of experience, we have mastered this technical expertise and translated our experience into what we call the Pharmatech Ecosystem. This interconnected framework represents the essential elements of our programmatic End-to-End and Top-to-Bottom approach that is steeped in scientific understanding. Although we describe our consultancy as encompassing four spheres of technical expertise, a successful product development lifecycle frequently requires knowledge in all four areas simultaneously. 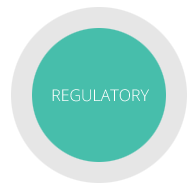 It is this interconnected framework of services which forms the basis for our logo and is the foundation for the Pharmatech Ecosystem. From early stage development through transfer, scale-up and commercialization, Pharmatech’s Product and Process Development Group has decades of proven success. We do more than just get it done. We help you create a product program that will translate into long term business success. Pharmatech applies proven GMP methods used in the validation of products, equipment, systems and facilities. 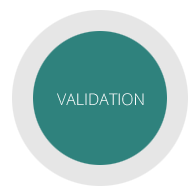 We will help you design a cost-effective validation plan for each stage of development that will grow with your organization. From mock audits through full remediation exercises, we have the insight to strengthen your compliance and minimize your risk position. 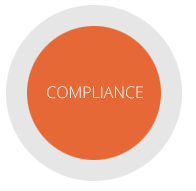 Our regulatory compliance experts are distinguished leaders committed to Pharmatech’s unique End-to-End and Top-to-Bottom philosophy, balancing regulatory requirements with business needs. Pharmatech’s team of seasoned industry experts have a deep understanding of the rigorous regulatory application and submission process. From formal agency meetings and pre-submission packages through full electronic filing of your products’ application, we have the insight to help accelerate your program using proven strategies and techniques. 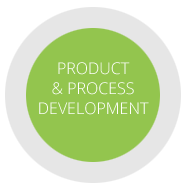 Pharmatech understands that the regulated life sciences demand scientifically rigorous development systems. Pharmatech’s end to end expertise allows us to provide pragmatic solutions that are tailored to your company’s maturity and capabilities while still meeting the needs of regulatory authorities worldwide. Our system solutions are designed to grow as your organization grows and your business processes evolve. The greatest challenges facing start-ups and established organizations within the regulated life sciences is the effective and efficient transformation from an organization focused upon innovation and discovery to a development organization instilled with a culture of compliance and capable of commercial product support. Organizations seeking funding or looking to potentially invest in innovative new products and drug therapies require a clear and proven roadmap to reduce program risk and shrink Time To Market. From QbD to QRM Pharmatech’s integrated ecosystem builds upon the industries best practices utilizing a proven roadmap born from insight, experience and expertise. It is this end-to-end knowledge that will ensure a robust product design and effective commercial process while anticipating your program’s compliance, validation and regulatory needs.